When it comes to fast turn-around times, speed, accuracy and reliability are top priorities within the semiconductor industry. For professional suppliers of micro-fabrication equipment, being a go-to vendor that can deliver "just in time" in the fast paced world of semiconductor device manufacturing is imperative. You must respond to your client's production line needs with lightening speed or risk losing your competitive edge. Yet, maintaining that competitive edge requires more than the ability to quickly build machinery. The machines also need to reach their destination in perfect condition. To consistently achieve this goal, the packaging requires design and engineering expertise that only an experienced, professional shipping company can provide. If you seek to continuously win additional spots on production lines across the semiconductor industry, it pays to develop and maintain a working relationship with a top quality shipping company. 1. The ability to respond quickly and accurately is critical in your field. The high demand for the most recent technology available in your industry relies on ultra-high productivity. Clients require rapid turnaround on equipment in order to stay competitive, which means you need a packaging partner that can move at the same speed you do. A reliable partner needs to have the right materials in the right quantities instantly available in order to build out custom orders as you need them. You place your company at great risk if you choose a packaging vendor that has to acquire new inventory each time you come in with a last minute request. 2. Innovation is your constant driver. There is nothing static about the semiconductor industry. 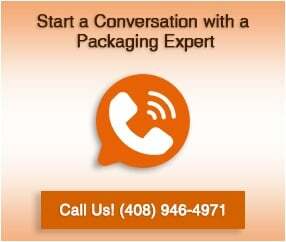 In fact, it's essential that you find an inventive, adaptable packaging partner who can keep pace with you. Just as your work process is constantly changing, so too must your shipping company be able to keep up with your changes. What's more, a shipper needs to be able to build on your previous design plans to create new product packaging. If every time your machines are updated you're stuck waiting for a new vendor to play catch up, you put your business at risk. 3. Time is your most valuable commodity. Running a semiconductor business means you are in constant motion. Stopping to shop for a packaging and shipping vendor each time you have a custom order to fill eats into your precious time. Rather than waste time, select a company whose experience packaging semiconductor equipment is proven. Do you need wood shipping crates or ATA cases? Foam liners or other forms of shock absorption? Find a reliable high tech shipping company that knows what to do, can make those decisions for you and deliver your products safely. Make the most of your time by investing in a packaging partner capable of meeting your supply chain needs. Choosing a crating and packaging company that provides a fast response to tough challenges, frees you to do what you do best.